This is the first text post from a three blog-post serial dedicated to social media automation tools. Thinking of what’s the best social media automation tool for marketing agencies is a tough question. It’s like asking what’s the best car for $25k. There’s no one-answer-fits-all deal here. Do you want to go off-roading and spend family time camping? Do you want it to be cheap to maintain? Do you want to drive fast in corners? Do you want it to be super-green? Tons of questions. And not one answer to rule them all. It’s the same with social media automation tools. What works best for your agency will mostly depend on your workflow and on what your agency offers and promises to the clients. In our 10 years of doing social media marketing as an agency, we’ve seen lots of trends change. These trends caused lots of social media marketing apps to pop up. Over the years, we’ve researched and tested dozens of social media marketing automation platforms. And mostly we had one big problem: creating social updates that were engaging, unique, and that pointed back to the website of our clients. This text, as the first part of a 3 blog post series, summarizes our 10-year saga with social media marketing tools. In the end, in the third text, we will present the tool that, for us, rules them all, and is perfect for our team. But, for now, let’s start with a short overview of 15 widely used social media automation tools as a go-to tools companies usually pick, depending on the budget as well as the service they provide. It was tenth year anniversary in November last year of the creation of Hootsuite. Make no mistake, they earned their place on the market. Even the name is chosen to mean just what the app does – an abbreviation from the French words ‘right now’. Hootsuite is a social media automation tool that helps businesses get social media influence. It has over 16 million users, including 800 Fortune 1000 companies. The app works with every popular social platform nowadays – Facebook, Twitter, Instagram, LinkedIn, Pinterest and YouTube. This is a fairly simple and inexpensive tool that will get the job done, nothing more, nothing less. And extensive documentation will definitely be of much help. There is also an option to Request a Demo to try the app before you decide to commit to it. At first sight, Social Oomph may seem like it hasn’t been updated for years. But it deserved its place on our list because of the high functionality it offers – automatically reposting content on social media. The overall UX might not be the happiest trip one user can experience, but if you are willing to save time while posting content on social media, this might be the tool for you. SocialOomph works with Facebook, Pinterest, LinkedIn, and Plurk. The website has a ‘Help’ page included, which has all the information about installation and connection with social profiles. However, it doesn’t provide a video demonstration, only a written one and some of the users might find this factor insufficient. If you are looking for a tool which will help you serve more clients while saving time than Sendible might be the social media automation tool for you. It has integrated all the social platforms you can think of, and it’s pretty easy to manage them all using this app. Sendible will help you take over some repetitive tasks off of your team’s’ hands, and it’s a great tool if you want to improve the overall content engaging process. The supported social networks on Sendible are Facebook, Twitter, Instagram, Facebook Ads, LinkedIn, Google My Business, YouTube, Pinterest. It also publishes directly to WordPress, Blogger, and Tumblr. Their user support is quite impressive – they have video tutorials and help desk which has written instructions about the app and how to use it. You can also get a demo and see how this social media automation tool works for yourself. If you’re looking for content writing services, BuzzSumo might be the one for you. Everything related to content from keywords research to content alert is included in this app. BuzzSumo also provides competitors analysis. This feature enables you to see what’s working for your competitors. You can compare this analysis with your own work and use it as a learning guide to discover what would work best for you. Plus, you can get a full overview of the influencers of your industry. With that, you get more detailed insights about what’s trending. You can use this info to focus your attention there and create a social media strategy that’s suitable for your brand. BuzzSumo works with some of the most popular social networks such as Facebook, Twitter, LinkedIn, Google +, and Pinterest. That is quite a list, one might get a bit overwhelmed with it too. But, if you decide to give it a go, you can choose a free trial and see first hand how this social media automation tool works and if it is the right one for you. 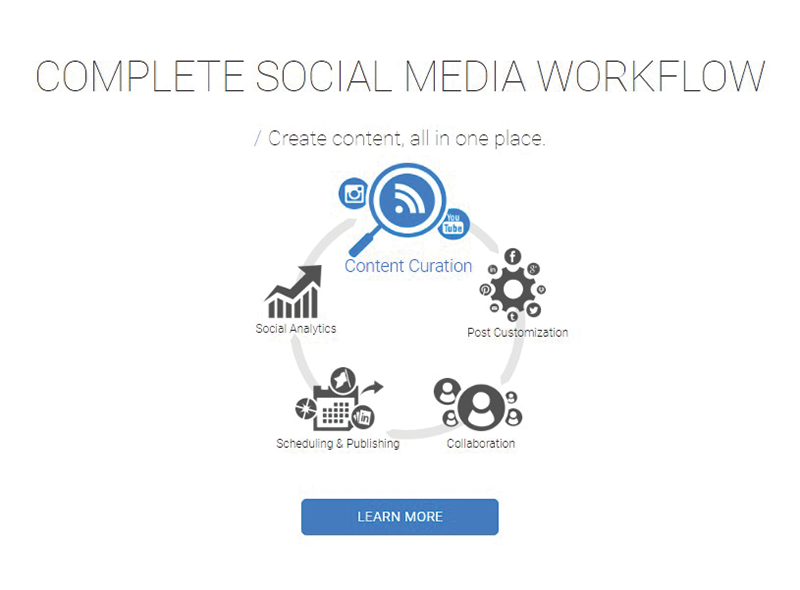 Oktopost is a B2B social media automation tool designed to meet the needs of any enterprise. 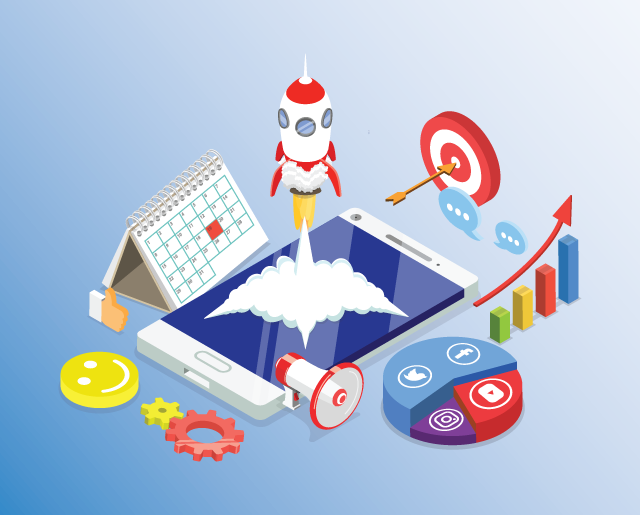 While it has all the standard features such as marketing reports or engagement metrics, it’s created to help businesses generate better leads for their business. Every monitoring process or alteration of content is done with one goal – to attract more leads. 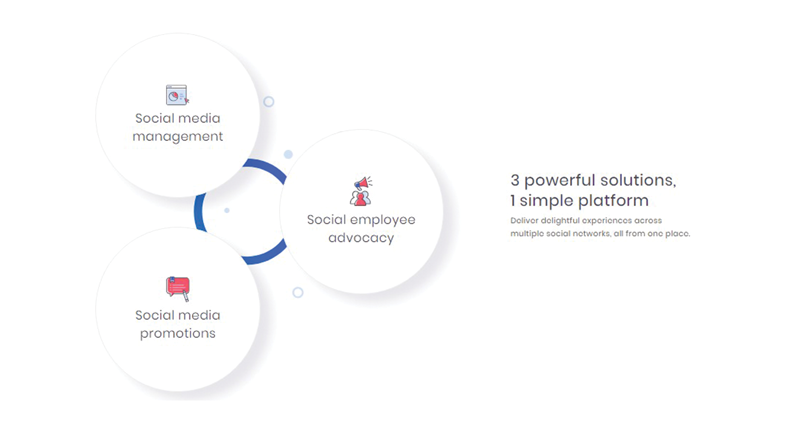 Oktopost goes one step further in automation process – it offers MA (marketing automation), BI (business intelligence) and CRM (customer relationship management) platforms which your team can connect with their social media data. It all comes with an extensive knowledge base. The downside is if you are looking for a particular plan or pricing you will find none. All you can do is to request a demo and then fill out the form to schedule a call… I find that not so user-friendly. I want to be able to see at a glance what is it I am getting and what the price is. 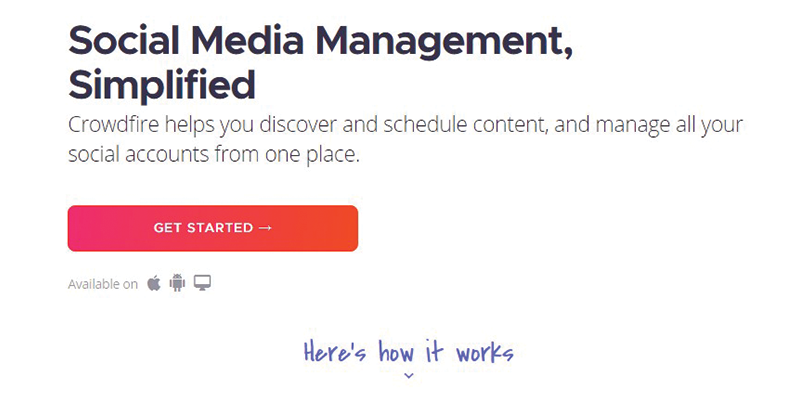 Still, if you are a B2B agency that wants to schedule content on multiple business and social networks, Oktopost might be the right social media automation tool for you. 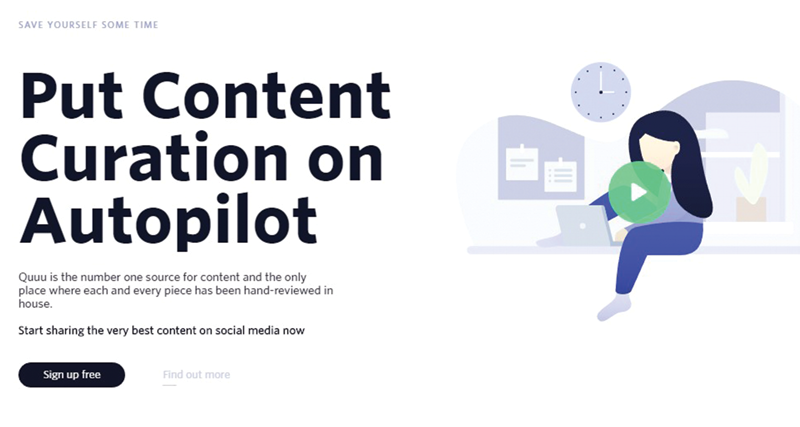 ‘Put Content Curation on Autopilot’ is the introduction to Quuu tool on their website. Basically, Quuu is best to use if you want to have at all time ready content to share on social media. This social media automation tool is the only one that hand-curated the content in over 500 categories of interest, and it’s integrated with Buffer and HubSpot. Quuu offers 3 plans starting from 0 up to $50 and works with three social networks – Facebook, Twitter, and LinkedIn. However, it seems like Quuu is limited to one feature only and that is the hand-curated content. If you want to get the best of this app, it would be smart to combine it with other apps that have what this one lacks. CoSchedule is more of a social media automation tool for managing teams rather than social accounts, but its value is non-negotiable, and that is why it deserves a place on our list. The tool is designed for in-house marketing teams, small business, higher education, solopreneurs, and agencies. This social media automation tool works with every popular social network – Facebook, Twitter, LinkedIn, Instagram, Pinterest, Tumblr. CoSchedule provides written and video presentation of the app and you will need to go through it before purchasing it. But, the good thing is you can start a 14-day free trial without a credit card and with the option to cancel anytime. 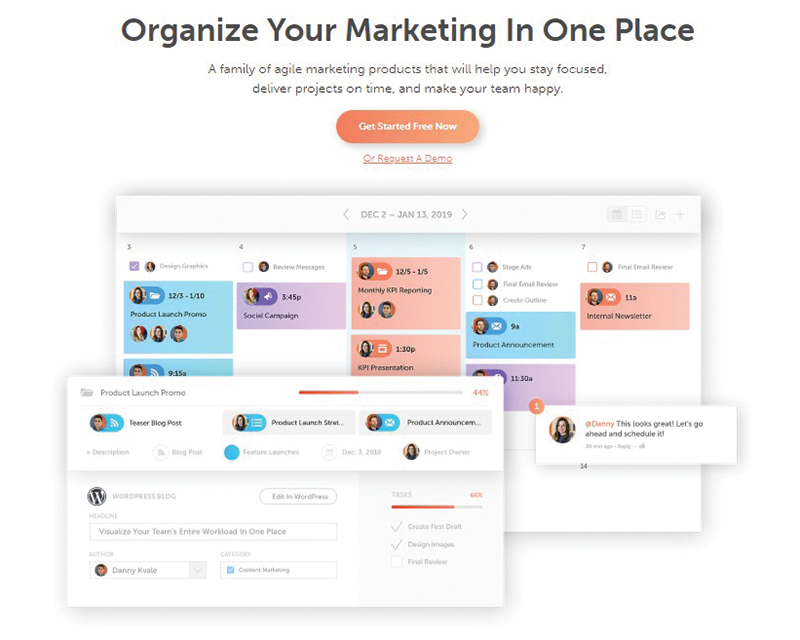 So, if you need a helping hand in organizing your team, this tool might fit your needs. What’s different about this tool is that it’s quite pocket-friendly. At the same time, it helps you serve more clients. Some of the biggest brands today trusts SocialPilot like Samsung, Amazon, and Vodafone together with 85 000 other professionals. That is something to consider. Another valuable point is that the platform works with Facebook, LinkedIn, Twitter, Instagram, Pinterest, Tumbler, Google My Business, etc. But, before buying anything you can start with a free 14-days trial. And you will need one just to get the feel of the tool and learn how it works – the knowledge base will help with that. It is definitely a social media automation tool worth checking out. Everypost is a social media automation tool with a focus on the visual elements of the content. Users are able to curate visual content from different sources and schedule them so you can better engage with your target audience. It has all the other relevant features like social analytics, scheduling, and content curation, but their mission is to make the visual element of your content stand out from the rest. The app is integrated with Facebook, LinkedIn, Pinterest, Twitter, and Flickr, and it offers 5 plans to choose from. There is a 14-day free trial option as well, which is a good way to see what the tool can do first hand. So, if your focus is no visuals, this might be a tool to consider. 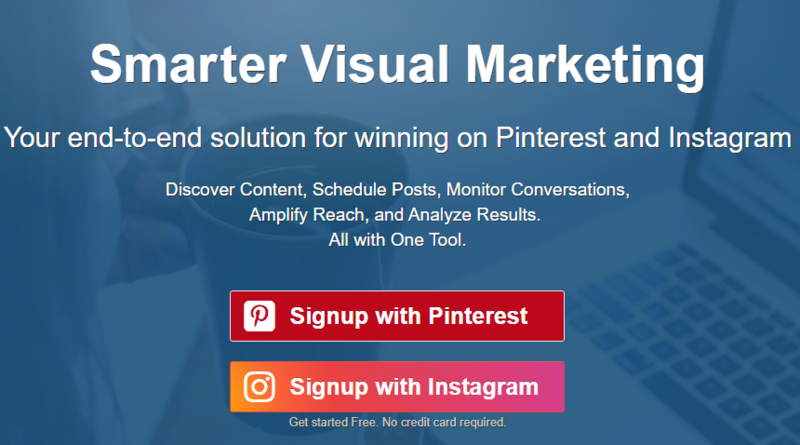 Tailwind is a social media management tool that offers an end-to-end solution if your target audience is on Pinterest or Instagram. This app is awesome for bloggers and enterprises with online e-commerce sites. Tailwind allows you to discover and schedule content, monitor conversations, amplify reach and analyze the progress on these two social networks. It also has an option to repin and regram. With this app, you can keep track of the activity, trends, and the KPIs by controlling your profiles. Tailwind collects insights from both platforms so your team can create strategies that will meet your users need. Although Tailwind has over 200 000 satisfied clients bear in mind that their service extends to only 2 social networks. And if you want to reach an audience on Facebook, LinkedIn, or Twitter, you will have to either do it manually or buy another app. That could be seen as a major flaw for most business. ‘Spend more time away from your desk’ – is the company’s motto written on their website. It’s what every marketer needs, more time on their hands to concentrate on other things relevant to their business rather than focusing only on social media management. Or just to step away from your desk altogether. There is nothing revolutionary about this tool. It offers basic functions most social media automation tools offer as well: recycling old social media posts, massive scheduling of social media posts and using WordPress social media scheduler to schedule posts automatically. So, if you are looking for a simple inexpensive social media automation tool this could be your cup of tea. Tagboard is slightly different than the rest of the social media automation tools on this list, but it’s worth mentioning. It’s a listening tool that helps brands stay aware and stay alert. Using this app, you can stay informed about everything related to your brand in the entire industry. Not only you can read, but you can also eliminate negative content, stay in touch with your audience, and select your best posts to stay active. The app also offers extensions for more effective social media posting. Tagboard is trusted by social platforms like Snapchat, Facebook, Instagram, Twitter, and YouTube. They don’t have a ‘Knowledge Base’ for their users, but there’s an option for requesting a demo. According to HubSpot, ‘good for the business’ should also mean ‘good for the customers’. And they help you achieve this win-win situation by providing software for marketing, sales, and customer service. This is not just another social media automation tool, but a whole package of software for growing your business online. And you can use just one of the software or all of them together, depending on what is it you are trying to achieve. As stated on their website, nearly 56 500 customers in over 100 countries grow their business using HubSpot. HubSpot is integrated with all the major social media networks, apps, and tools. There is also a possibility of building a custom integration. And, it offers an extensive knowledge base with all the material and resources needed to get you going. If you find yourself overwhelmed with everything offered on the site you can always pick up the phone and call them to help you choose the best option for your particular need. It’s almost the last one on our list, but around 19 million users will definitely put CrowdFire somewhere higher on their list. It might seem like the focus of the app is only on Twitter, but this social media automation tool has integrations with other social platforms too – Facebook, LinkedIn, Pinterest and Instagram. 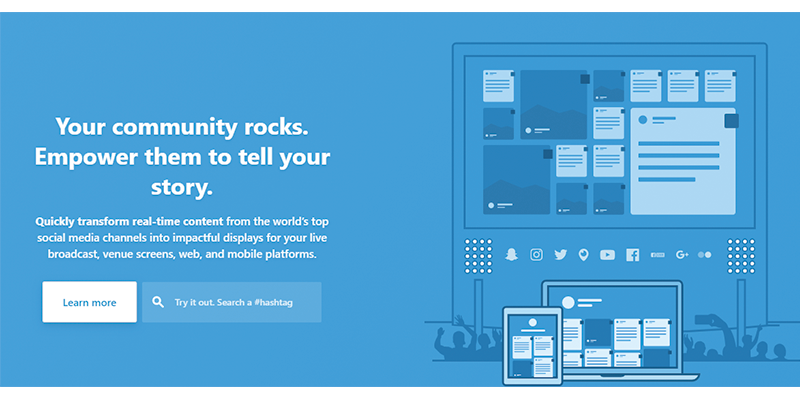 With CrowdFire, you can discover content from your niche, publish and preschedule content and modify your content for every social media platform. It’s very easy to manage this app because it works mostly on autopilot. Another good point is their ‘Help&Support’ page, which provides a detailed overview of the app itself and answers all of your questions. They have quite worked out their affiliate marketing program, so you might be interested in checking that too. How about that name, huh? Talk about creativity used the right way. IFTTT (If This Then That) is a tool that will give new meaning to all the social media automation tools you possess in your office. It works based on applets of different social platforms and it provides a connection between different apps. Which basically means you can connect any two unrelatable software and make them perform an action you would like, on social media, or any other place. 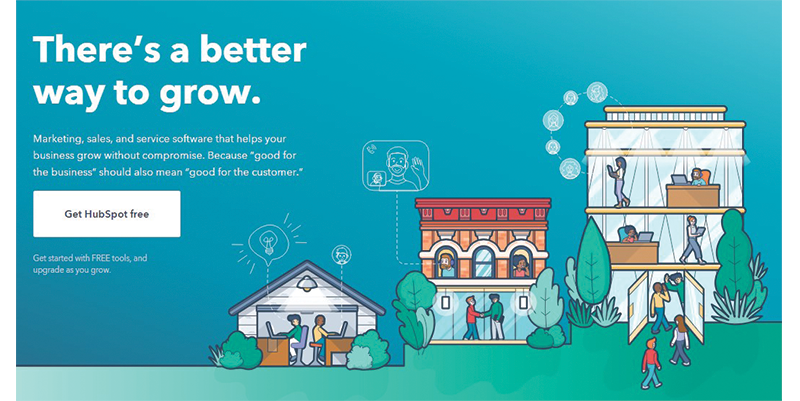 Their mission is to build a more connected world by making it possible for all of your apps and devices to talk to each other. 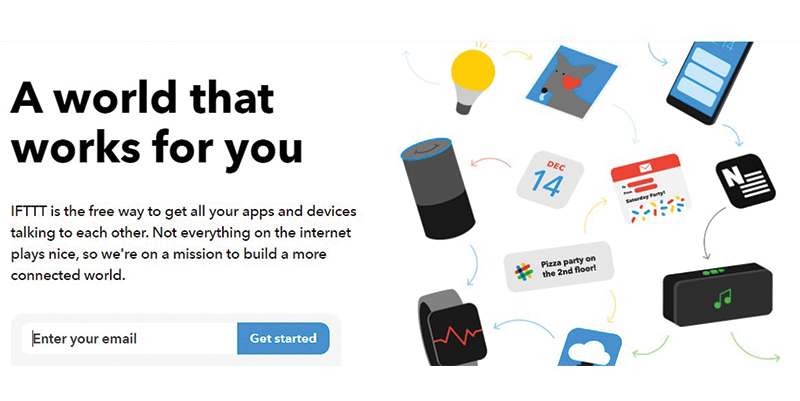 The team of IFTTT has very reliable help page which gives you an answer to every question about this app. The best part? The tool is completely free. If you feel a bit overwhelmed at this point that’s ok and to be expected. But as you continue reading things will get more clear. We hope to provide enough information in our next two blog posts so you would be able to choose the right tool for your business. What’s important to remember is that each and every one of these social media automation tools is unique in its own way. Some of them may have features others don’t. But, that doesn’t make them less effective or less anything. It all depends on your company’s requirements as well as the goals you’re striving to achieve. And, let’s not forget your social media marketing team. In some companies, these teams may run on BuzzSumo fuel. In others, it might be HubSpot. Whichever tool to help them be more efficient. In the next blog post, we’ll explain 5 social media automation tools in more detail. Ones which are slightly different than this list.